Madagascar 3: Europe's Most Wanted DVD Review There’s certainly enough gas left in the tank for a couple more Madagascar films to be made. 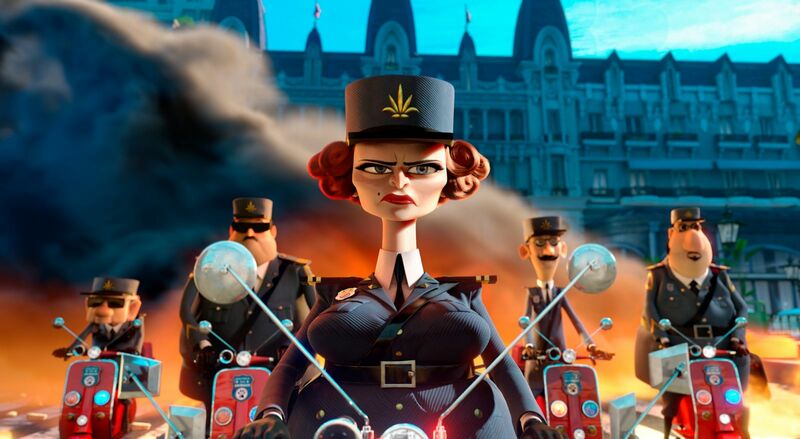 Europe’s Most Wanted introduces plenty of likeable new characters to keep things fresh and the slick animation and sharp writing continue to make this franchise one of the best in recent times for audiences of all ages. It’s not often that you see a movie franchise that gets considerably better with each instalment. 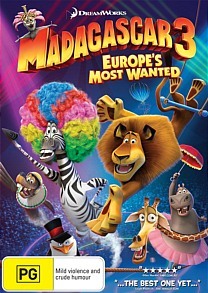 The Madagascar film series is a shining example of this, and Europe’s Most Wanted, the latest release, is the most entertaining thus far. While the plot is nothing spectacular, the real charm comes from the excellent animation and stellar voice acting from each and every actor involved. Madagascar 3’s story picks up right after the events of Escape to Africa, with Alex the lion longing to return to Central Park Zoo in New York City. 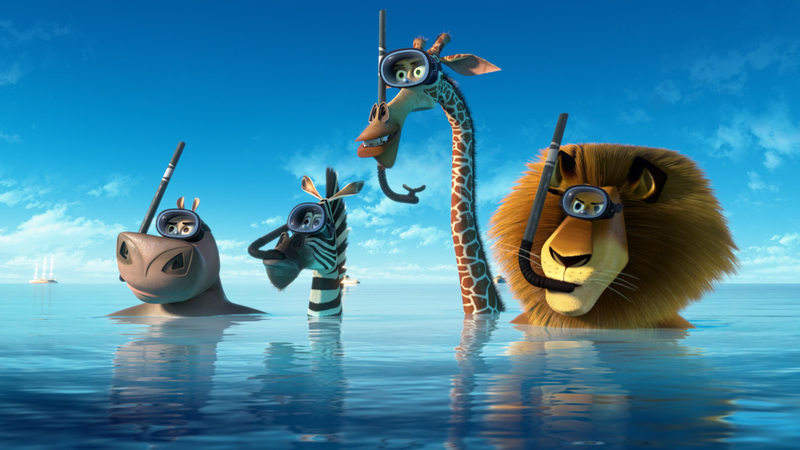 Alex, along with Marty, Gloria and Melman decide their best chance to get back home lie in the hands of the penguins, who are on holiday in Europe along with the monkeys, so the four of them decide to scuba dive to Monte Carlo. This opens up a massive plot hole in the story due to the fact that they could’ve just gone to New York themselves, but where’s the fun in that? Upon arrival at Monte Carlo they are immediately pursued by game hunter Officer Chantel Dubois, who has an empty space on her wall that would be perfect to hang Alex’s head. The group then run away with the circus in order to hide, where we are introduced to a plethora of new characters that all fit well into the Madagascar universe. Alex’s relationship with Jia the jaguar is one of the film’s main focuses, but the side story involving King Julian (played by funny man Sacha Baron Cohen) and Sonya the bear is by far the funniest aspect of the film and is a great way to get adults more involved in the film’s plot. The animation is again of the highest standard; DreamWorks have managed to create a fantastic minimalistic approach to animation with enough detail to great moments of humour and emotion. Special features included on the Blu-ray and DVD releases of Madagascar 3 include deleted scenes, trivia games, music videos and mashups and plenty more to keep your kids entertained once the movie is over. There’s certainly enough gas left in the tank for a couple more Madagascar films to be made. Europe’s Most Wanted introduces plenty of likeable new characters to keep things fresh and the slick animation and sharp writing continue to make this franchise one of the best in recent times for audiences of all ages.